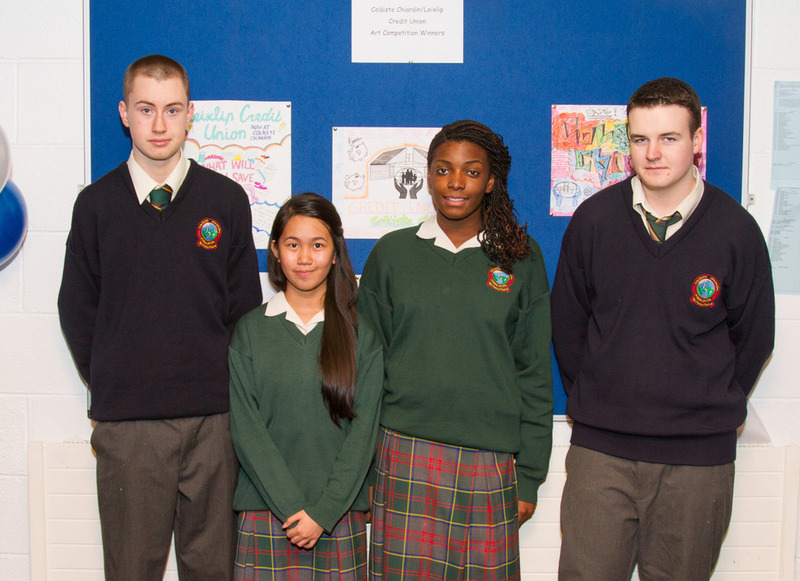 Today saw the opening of the Coláiste Chiaráin branch of Leixlip Credit Union. Bernadine Sheridan and Joan Cusack from Leixlip Credit Union presented all applicants with their deposit cards which can be used every Thursday at 1pm in Room 33 to lodge savings into their account. 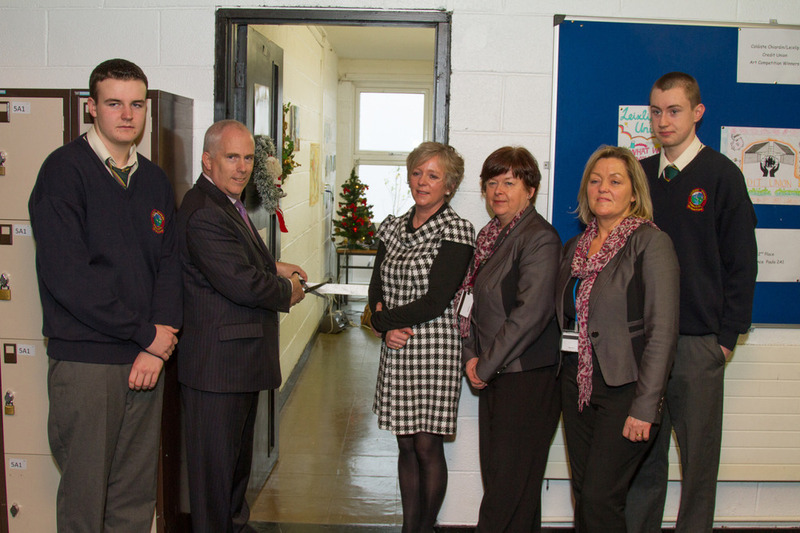 Our Principal, Mr. Joe Sweeney cut the ribbon to officially open the Credit Union and Ciara Kelly 1A4 was the first student to lodge money into her account. 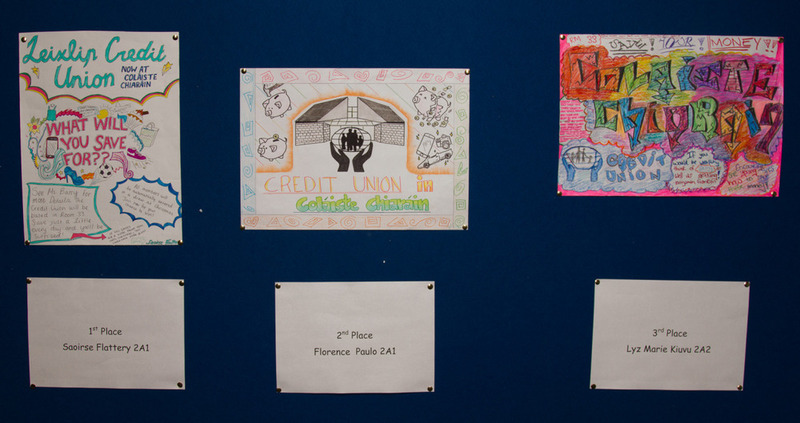 Art competition winners, Saoirse Flattery (1st place), Florence Paulo (2nd place) and Lyz Marie Kiuvu (3rd place), received their prizes which were kindly sponsord by Leixlip Credit Union. We would like to encourage more students to open an account with our Credit Union. Application forms from Ms Barry Room33.